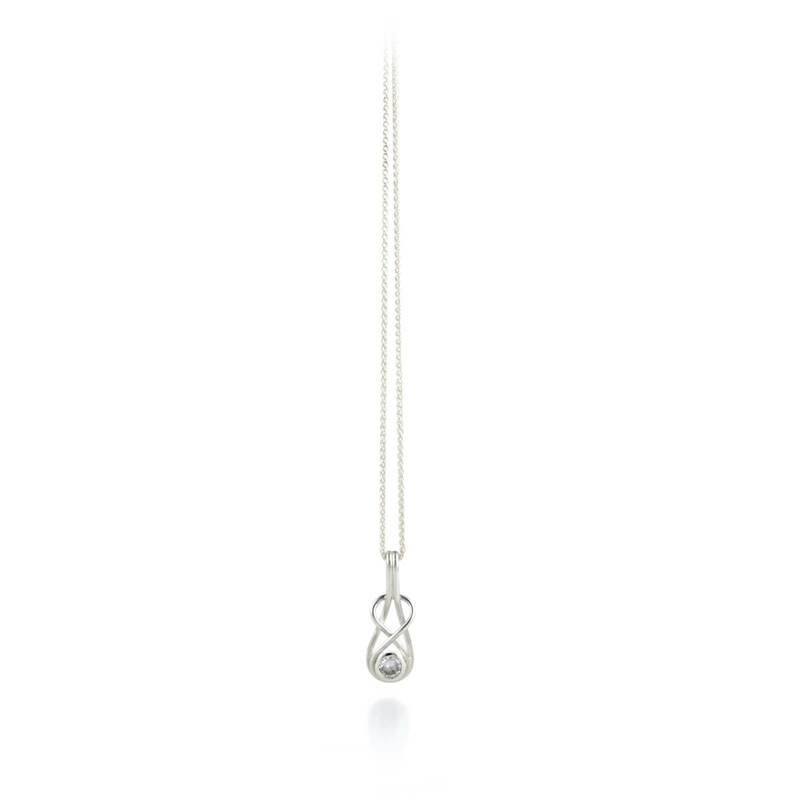 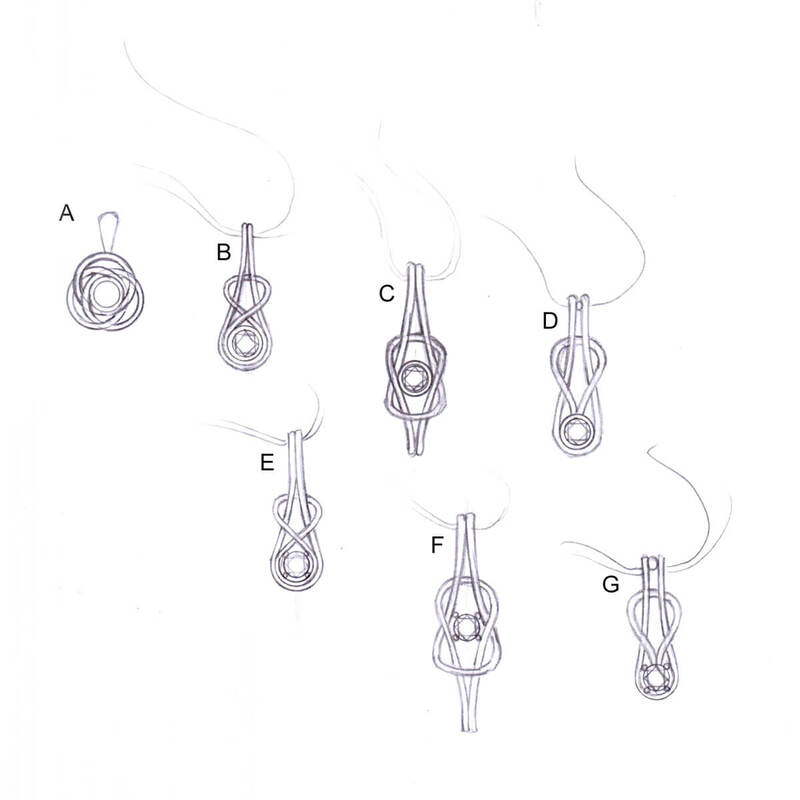 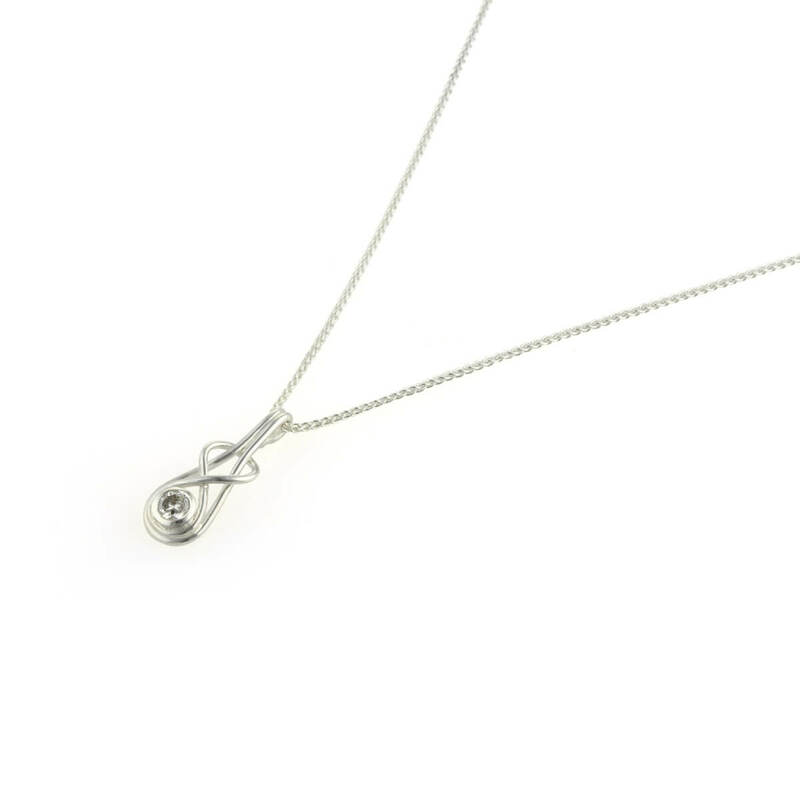 This silver diamond knot pendant was designed using a very sentimental diamond taken from an heirloom ring. 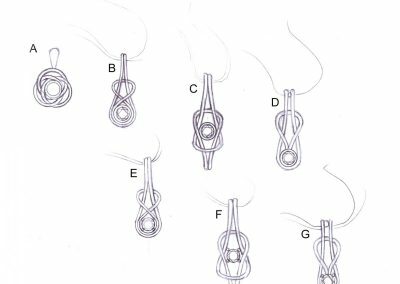 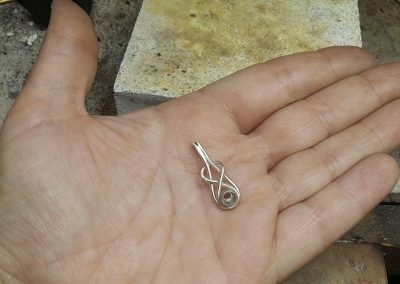 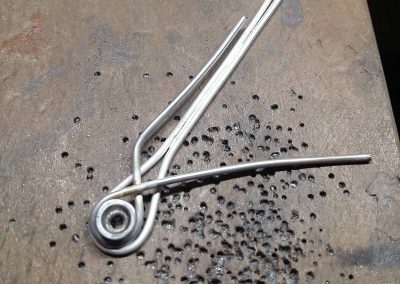 The pendant was fabricated by hand; creating the silver wire, carefully wrapping it into the desired shape and soldering it all together. 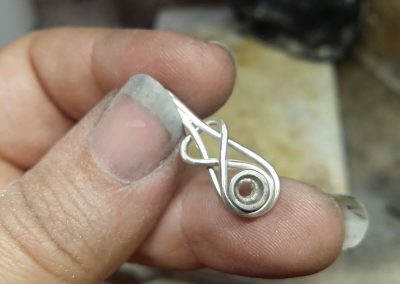 It was then ready to polish, hallmark and have the diamond set securely. 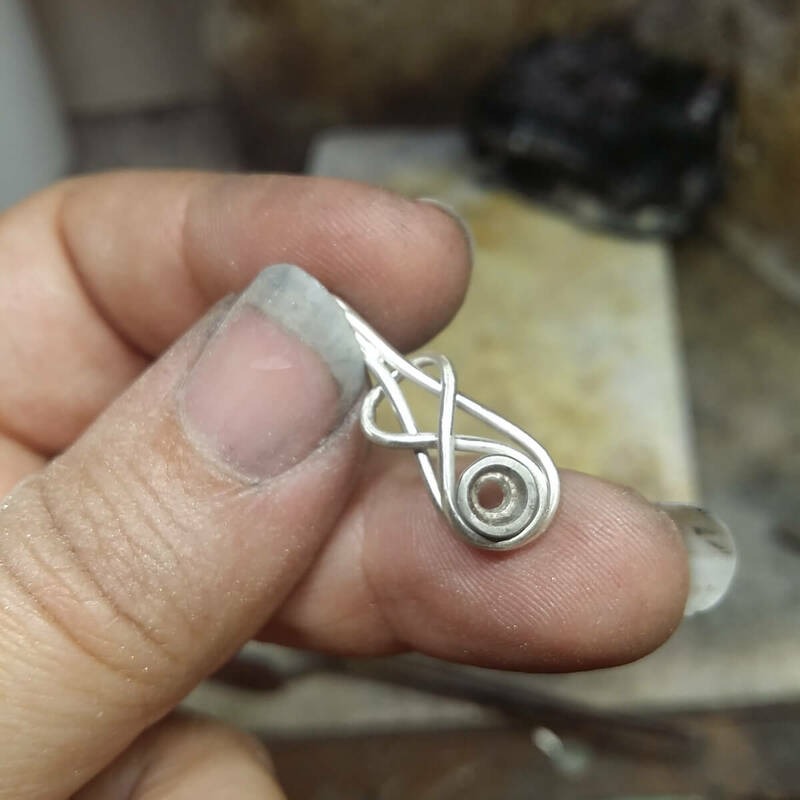 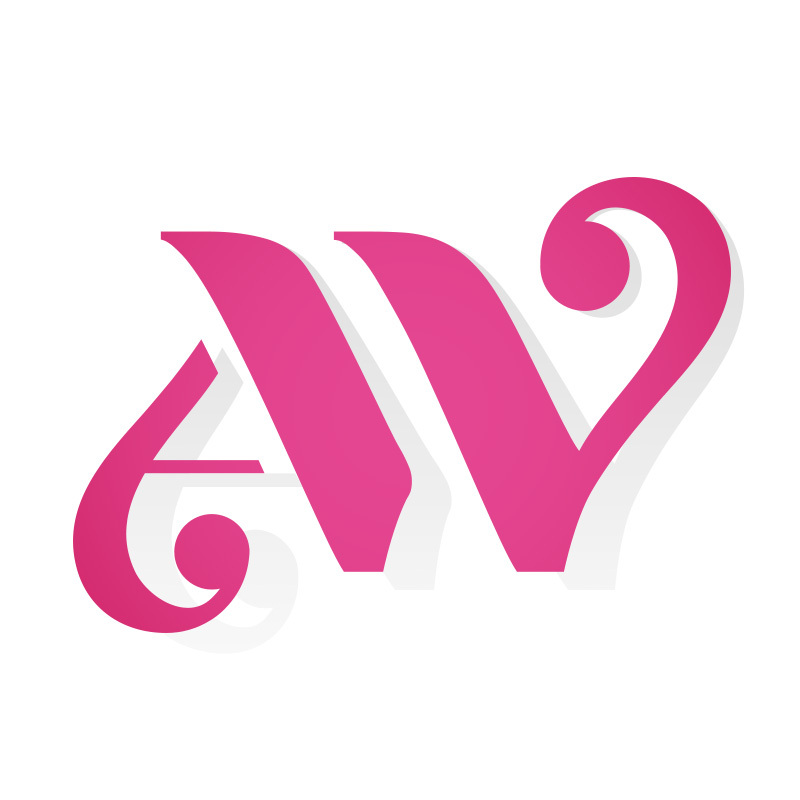 Making the silver pendant design and diamond collet to set the stone. 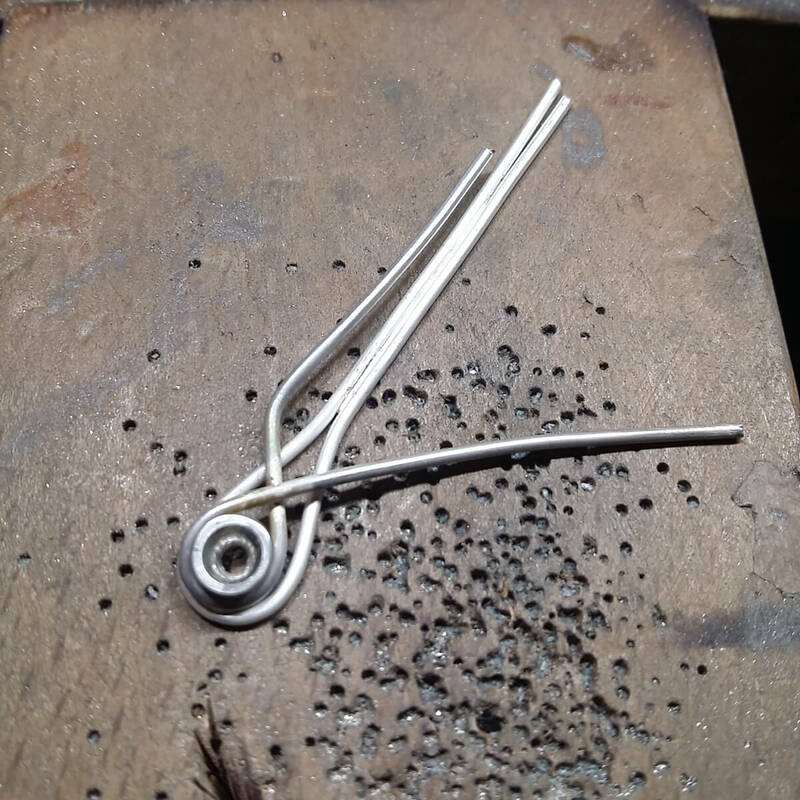 Each piece has been made and is ready to solder together. 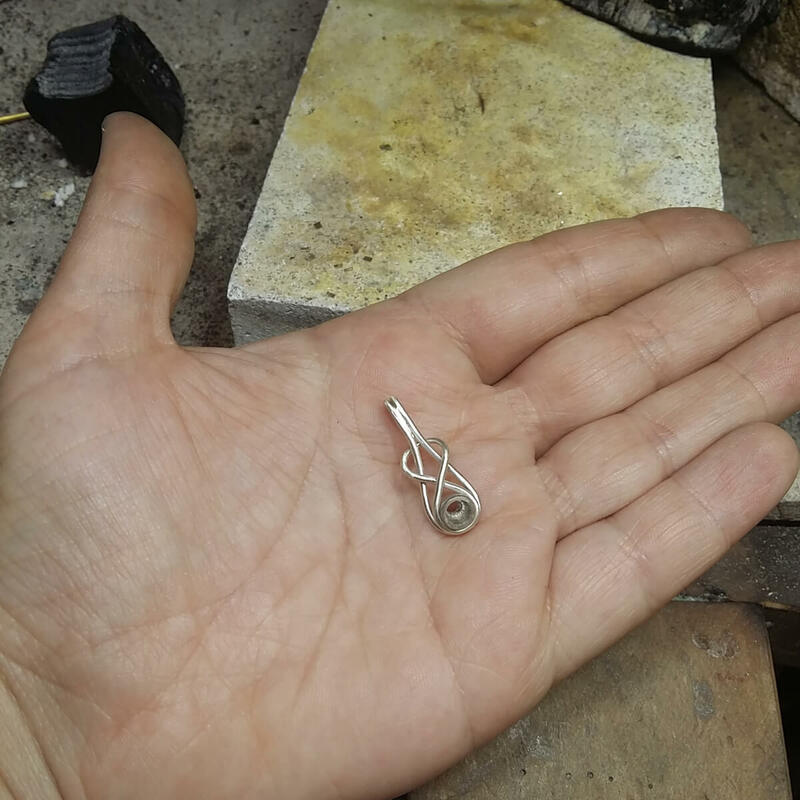 The pendant is soldered together and is now ready to polish, hallmark and stone set.